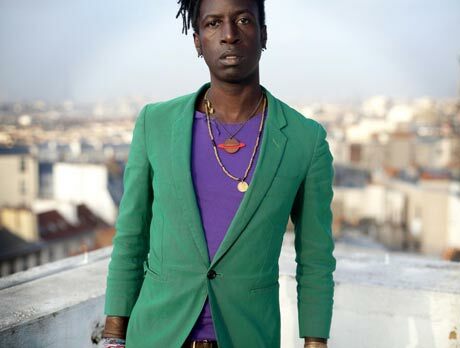 Despite Saul Williams being a multi-disciplined artist, we generally report on the high-concept rapper/poet's musical output. Earlier this year, Williams made the rounds in support of his 2011 album Volcanic Sunlight, but his next tour will axe beats and melodies in favour of spoken word rhythms. Williams's fall schedule will see him riffing on material from his upcoming book, Chorus: A Literary Mixtape. The book, a collection of poetry edited and arranged by Williams, with the assistance of Dufflyn Lammers and Aja Monet, hits shelves September 4 via MTV Books. The book is Williams's fifth overall, and it found him reaching out to fans, asking them to submit some original work. Over 8,000 pieces were filed, but Williams whittled that down to 100 selections that were then edited and rearranged to read like an epic poem. "This is a book that I have been taking submissions for over the past ten years as hundreds of poets/artists/writers have handed me their work with hopes that I would read it," Williams said in a statement. "My goal is to create an important book that connects varied voices into a cohesive work of art that stands out as a generational testament of our time." The spoken word tour behind Chorus: A Literary Mixtape starts up shortly in Washington, DC, on August 31. The month-long journey will bring Williams up to Canada for shows in Toronto, Ottawa, London and Victoria. You can check out the schedule down below.